Some furniture is vintage and never goes out of fashion. 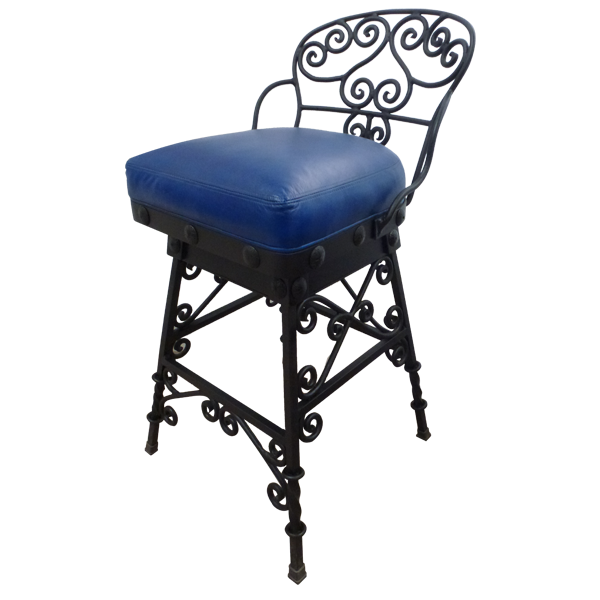 This handcrafted bar stool could have been in your grandmother’s home, and now it can be in your’s. 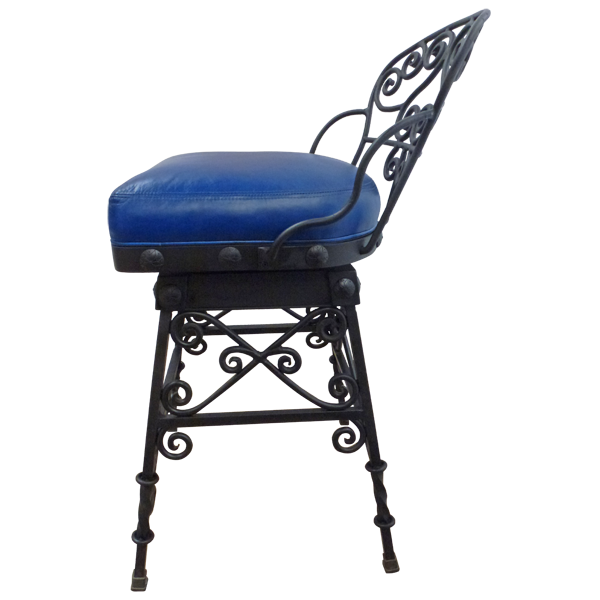 The bar stool is enhanced by its lovely curved hand forged iron seat back and its contrasting brilliant, blue full grain leather seat. 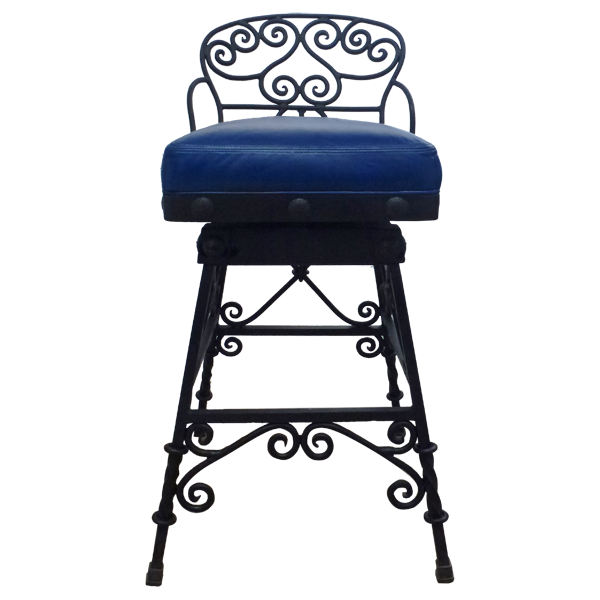 The custom bar stool has splayed, durable hand forged iron legs, joined by a hand forged iron box stretcher, and decorated with scrolled hand forged iron. 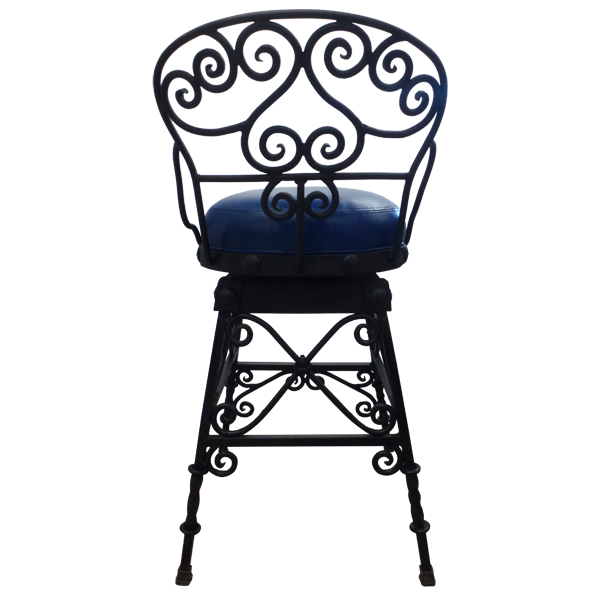 All hand forged iron work is performed in our factory by our skilled craftsmen. The upholstery is precision hand tacked. It swivels 180° and is 100% customizable.